Happy Wednesday Gamecock Girls! Have you planned out your tailgate for this weekend's home game vs. UAB? Try one of these fun 'football themed' recipes at your Gamecock tailgate this weekend. Yummy! In large bowl combine cream cheese, Cheddar cheese, pimento, green pepper, onion, Worcestershire sauce, lemon juice, cayenne and salt. Mix well. Decorate with walnuts and pimentos, if desired, and serve with crackers. *NOTE: Soften cream cheese in microwave at high for 15 to 20 seconds. In food processor bowl combine 1 cup of the onion, 1 of the jalapeño peppers and 3 cloves of the garlic. Cover and process until finely chopped. Add 4 of the avocados, 1 cup of the tomato, 1 tablespoon of the lemon juice, 1/2 teaspoon of the salt and 1/4 teaspoon of the pepper sauce to the onion mixture. Cover and process until nearly smooth, stopping machine occasionally to scrape down sides. Transfer to large bowl. Repeat steps 1 and 2 using the remaining onion, jalapeño pepper, garlic, avocados, tomato, lemon juice, salt and pepper sauce. Stir into guacamole mixture in bowl. Evenly spread guacamole mixture into 15 x 10 x 1-inch pan. Smooth the top. Pipe sour cream on top of guacamole for yard lines and end zone. 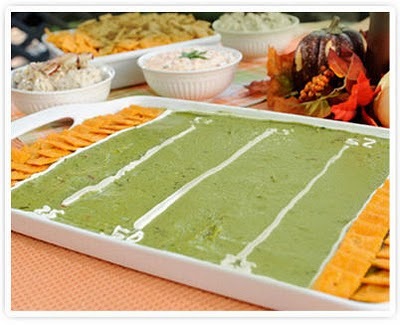 Arrange SUNSHINE CHEEZ-IT ORIGINAL crackers on top of guacamole for end zone. 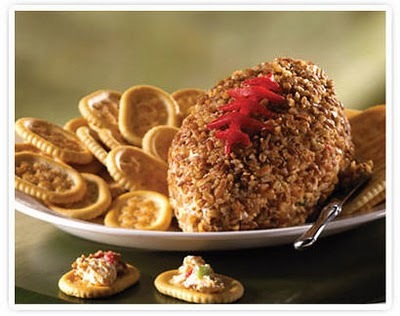 Serve with additional crackers. Do you have a tailgate recipe you and your family love that you would like to share on this blog? Please email it to us at gamecockgirlblog@gmail.com.